St Mary's Cathedral of Tallinn (Estonian: Toomkirik, full name: Tallinna Neitsi Maarja Piiskoplik Toomkirik, German: Ritter und Domkirche, English: The Cathedral of Saint Mary the Virgin in Tallinn, also known as Dome Church) is a church located on Toompea Hill in Tallinn, Estonia. 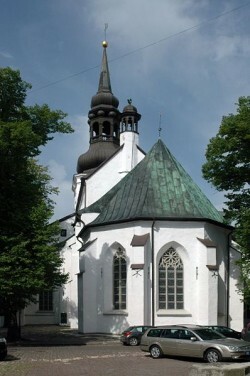 Originally established by Danes on 13th century, it is the oldest church in Tallinn and mainland Estonia. It is also the only building in Toompea which survived a 17th century fire. Originally a Roman Catholic cathedral, it became Lutheran in 1561 and now belongs to the Estonian Evangelical Lutheran Church. 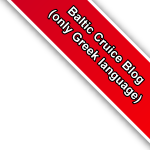 The first church was made of wood and built there most likely already in 1219 when the Danes invaded Tallinn. In 1229 when the Dominican monks arrived, they started building a stone church replacing the old wooden one. The monks were killed in a conflict between the Knights of the Sword and vassals supporting the Pope�s legate in 1233 and the church was contaminated. A letter asking permission to consecrate it anew was sent to Rome in 1233 and this is the first record of the church�s existence. The Dominicans couldn�t finish the building. Actually they built only the base walls. The building was completed in 1240 and it was a one-aisled building with a rectangular chancel. In 1240 it was also named cathedral and consecrated in honour of Virgin Mary. In the beginning of 14th century, reconstructions of the church began. The church was made bigger. The reconstructions began with building a new chancel. About at the same time the new vestry was built. The enlargement of the one-aisled building to a three-aisled building began in the 1330s. The construction work however lasted almost 100 years. The new, longitudinal part of the church, 29 meters long, built by following the principles of basilica, was completed in the 1430s. The nave�s rectangular pillars had been completed in the second half of the 14th century, though. The church was greatly damaged in the great fire of 1684 when the entire wooden furnishing was destroyed. Some vaults collapsed and many stone-carved details were greatly damaged- especially in the chancel. In 1686, after the fire, the church was practically restored to what it had been before. The Dome Church�s exterior dates from the 15th century, the spire dates from the 18th century. Most of the church�s furnishings goes back to the 17th and 18th centuries. From 1778 to 1779 a new baroque spire was built in the western part of the nave. One should also mention a numerous sum of different kinds of tombstones from 13th –18th century, the stone-carved sarcophagi from the 17th century, also the altar and chancel, chandeliers, numerous coats-of arms from the 17th – 20th centuries. Two of the church�s four bells date back to 17th century, two date to the 18th century. The organ was made in 1914. Among the people buried in the cathedral are the Swedish soldier Pontus De la Gardie and his wife Sophia (John III's daughter), as well as the Russian navigators Samuel Greig and Adam Johann von Krusenstern.